On May 11, 2016, President Barack Obama signed the Defend Trade Secrets Act of 2016 (the “DTSA”), which provides a federal civil cause of action to manufacturers for the misappropriation of trade secrets under the Economic Espionage Act. While the DTSA substantially mirrors the protections afforded under the Uniform Trade Secrets Act, currently adopted by 48 states, the DTSA gives manufacturers a choice of whether to file in state or federal court. Importantly, the DTSA provides manufacturers with a new avenue to address a wide range of trade secret issues. Federal Civil Action. The DTSA creates a federal civil cause of action, giving original jurisdiction to United States District Courts. 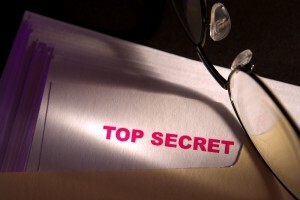 This will allow companies to file in or move most trade secret litigation to federal court. The original federal jurisdiction conferred by the DTSA will, in turn, invariably include federal supplemental jurisdiction for claims for breach of contract, related common law claims, and state statutory claims. Importantly, similar to federal employment laws, the DTSA does not supersede state trade secret laws. Seizure of Property. Unlike any of the pre-existing state laws, the DTSA includes a provision that permits the Court to issue an order, upon ex parte application in “extraordinary circumstances,” seizing property to protect against improper dissemination of trade secrets. Interestingly, the DTSA permits such an order only if the moving party has not publicized the requested seizure and includes imbedded confidentiality protections that protect seized information from public disclosure. If granted, the Court is required to schedule a seizure hearing and the moving party will be required to provide security in an amount to be determined by the Court for the payment of any possible damages suffered as the result of a wrongful or excessive seizure. This provision of one of the more robust features of the new law, permitting, for example, the seizure of computer hardware and software that has been used for misappropriation without giving notice to the party against whom the order is issued, and thereby decreasing the risk of spoliation of evidence. This can be an important weapon in dealing with ever-increasing cyber-threats. Injunctive Relief. The DTSA permits a court to award injunctive relief to “prevent any threatened or actual misappropriation” of trade secrets, including, for example, conditioning (while not preventing) employment relationships that are shown to threaten misappropriation of trade secrets. Damages and Attorney’s Fees. In addition to the seizure of property and injunctive relief, the DTSA permits for the recovery of damages for actual losses and unjust enrichment, and allows for exemplary damages for “willful or malicious” misappropriation of trade secrets. The DTSA also provides for the recovery of reasonable attorney’s fees under certain circumstances, including “if a claim of  misappropriation is made in bad faith, which may be established by circumstantial evidence, a motion to terminate an injunction is made or opposed in bad faith, or the trade secret was willfully and maliciously misappropriated”. Whistleblower Protections and Notice Requirement. The DTSA includes civil and criminal immunity under federal and state trade secret laws for any disclosures made to a governmental agency for the purpose of reporting or investigating a legal violation. Of more immediate concern, the DTSA requires that an employer provide notice of these protections in any employment agreement governing confidential information or provide a cross-referenced policy document setting forth the employer’s reporting policy. Failure to comply with the notice requirement prohibits the recovery for exemplary damages and attorney’s fees under the DTSA. In light of this notice requirement, employers should review their confidentiality agreements, provisions, and policies to determine how best to navigate this new law. The primary effect of the DTSA is to federalize trade secret misappropriation actions and ensure full access to the federal courts for trade secret litigants, thereby ushering in a new era by providing a federal cause of action for trade secret misappropriation that falls in line with its federal IP cousins. Manufacturers should take stock and proactively protect against dissemination of their trade secrets while simultaneously updating their employee handbooks and agreements to ensure availability of exemplary damages and attorneys’ fees should any action be required. As the saying goes, “an ounce of prevention is worth a pound of cure”.